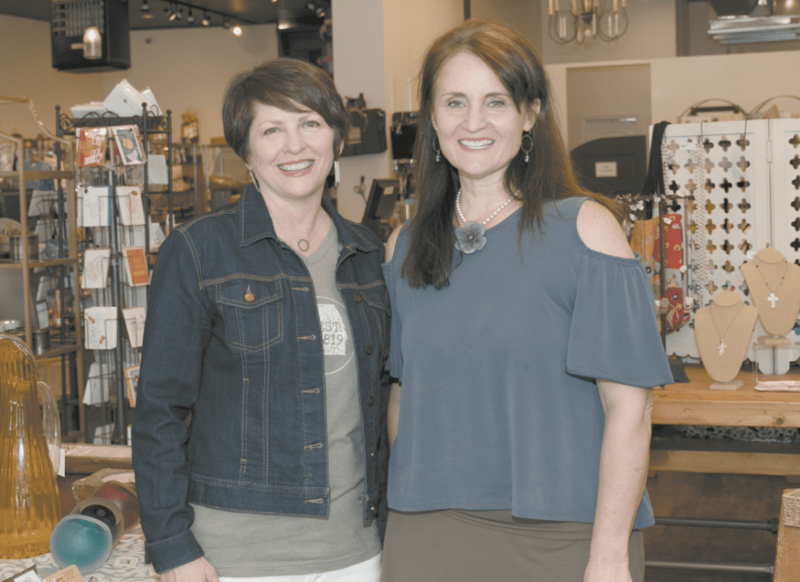 Alabama Goods owners, Sherry Hartley, left, and Beth Staula, right, met at a local chamber of commerce women’s group in 2006 and began discussing ideas for a store that sold only Alabama-made goods. Journal photo by Ingrid Howard. Alabama Goods, in downtown Homewood, has been certified as a Women’s Business Enterprise by the Women’s Business Enterprise Council South. “We have a corporate gift division, and several of our clients support supplier diversity. We have always informed them that we are a female-owned company, and now we can inform them that we are officially WBENC certified,” Sherry Hartley, who owns the business with Beth Staula, said in a statement. Both women grew up in the Birmingham metro area, but when Staula moved to Washington with her Air Force husband for a few years, she realized the appreciation she had for her home state. “I wanted my children to have what I had growing up – family nearby, community values and things that are available in Alabama,” she said. She moved back to Alabama and raised her children here. In 2006, the duo met at a local chamber of commerce women’s group. Combining their love for their home state, they started bouncing around ideas for a store that sold only Alabama-made goods. Their concept started off as an online-only store specializing in corporate gifts. Now, they operate at a storefront on 18th Street in Homewood. Hartley said their company is unique because of the personal relationship they have with their vendors. Staula echoed her business partner’s words. The concept has been a success. Last year, Homewood Life magazine voted Alabama Goods as the Best Store for Gifts. For the most part, business is fun, but they agreed that gift-giving season can be stressful. Hartley laughed, saying they usually host the company Christmas party in January. To learn more or to shop online, visit alabamagoods.com.